Today I’m really excited to tell you all of the details about my upcoming Video Teleprompter 2 update. This is the biggest app update I’ve ever released. Video Teleprompter was first created out of the need for a truly professional app for recording scripted videos. So I designed an app that lets you read your script as it scrolls closely to the front-facing camera on your device. 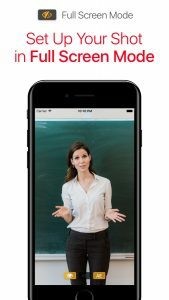 When I launched Video Teleprompter in September 2015, it was a huge success… It was the most successful app launch I had ever done and quickly became the number 1 top paid iPad photography app here in the UK. I also saw Video Teleprompter reach the #4 position in the same category in the USA. Customers loved how easy it was to record a quick video on their device, and have it look totally natural and unscripted. I’m really proud of Video Teleprompter and I’ve been working hard for several months on version 2. My goal with Video Teleprompter 2 was to create a tool that will help you make better videos, so I had this in mind during every step of design and development. Version 2 has been fully redesigned and redeveloped based on your feedback with a ton of new features and improvements. Updated: Improved scrolling logic to allow you to set even slower scroll speeds. You now have the ability to record your videos in portrait mode. 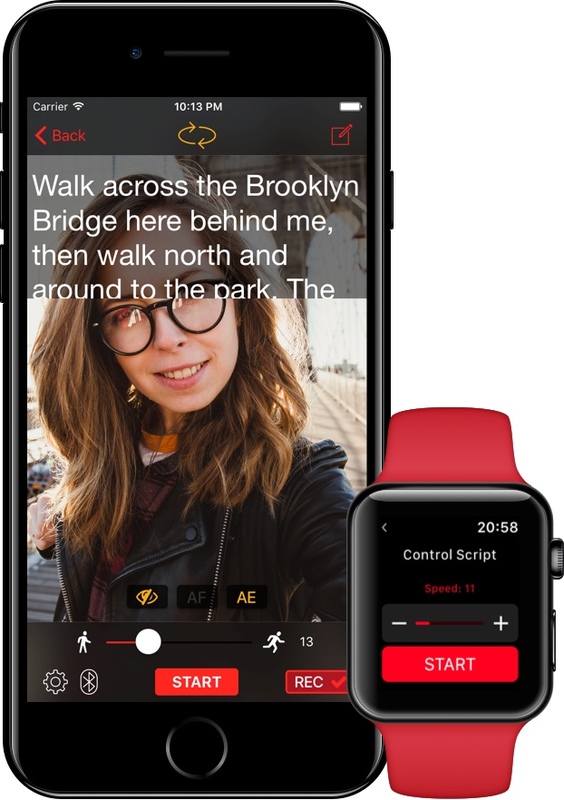 Your script will automatically adjust to the top of the screen so it’s close to the camera. You don’t have to do anything special to get it working, just rotate your device and start recording. This was one of the most requested features so I’m really happy that I’ve been able to make it work so well. You can now also switch to the rear facing camera too. 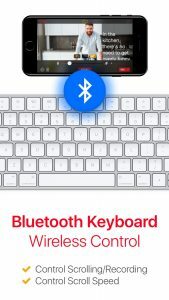 Just tap the button to switch cameras and your script will automatically fill the entire screen giving you more room to read while you record. 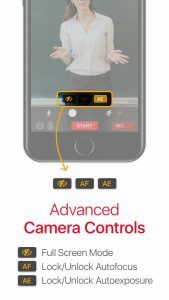 Video Teleprompter 2 also lets you tap to focus and expose your shot, you can also lock the autofocus and autoexposure. 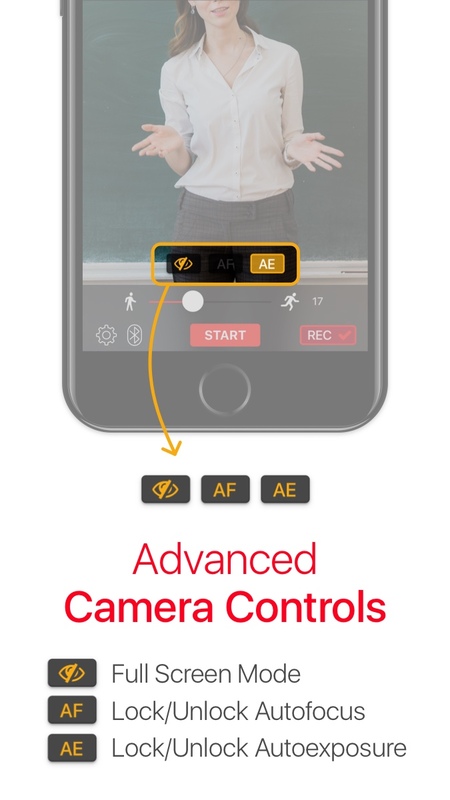 To help you get your focus and exposure right, I’ve also added a handy button to hide all of the controls so you can get your shot just right. Just tap on the button and everything else gets out of the way. 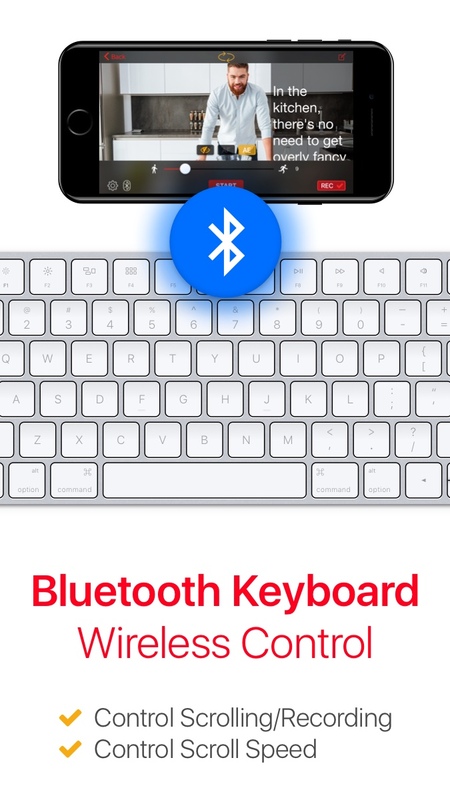 On top of all of these new options for recording your videos, you also have more control over the text that you’ll be reading. You can adjust the overall size of the text window, as well as adjust the background colour and opacity. I’ve also updated the scrolling logic to allow you to set even slower scroll speeds. One of the most common requests for Video Teleprompter was to add more options for importing and creating scripts. In Video Teleprompter 2, you can now create, import, edit, save and share multiple scripts and move between them easily. If you have Teleprompter Premium installed, all of your saved scripts will automatically be available to you. If you want to add a new script into Video Teleprompter 2, you can now compose a new script, import a script directly from Dropbox, or import your scripts from any other apps using the built-in sharing options. I’ve also improved support for different file formats, which now includes docx and pdf files. You can also export and share your scripts with others, including AirDrop for nearby devices. 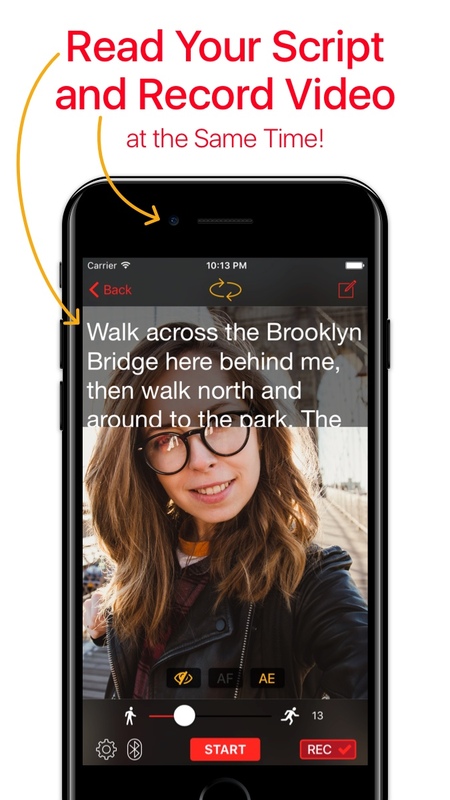 I have no doubt that Video Teleprompter 2 will be yet another #1 app in its category on the App Store. This update adds a ton of value and truly helps you make better videos. I’m really excited to let you know that it will launch at just $11.99! As you might know by now, I always reward my early and loyal customers, so I’m giving everyone this 20% “thank you” discount for being an early customer. The price will increase to $14.99 forever just 48 hours later. Don’t miss the opportunity to save 20%, this price will not be available again. What if I’ve already purchased Video Teleprompter? As another “thank you” to my early customers, Video Teleprompter 2 is a free update for all existing customers who purchased Video Teleprompter in the past. That means you get an entirely new (regularly $14.99) app for free. It will be available as a regular app update on the App Store on Wednesday March 1st. See you on March 1st!